Another 10 wins & 29 nominations. One of the best drama cop shows I have ever seen! I know that I never got to see Miami Vice when it was out but I know it did end a year after I was born. I got to see the show on DVD and I thought it was just classic and cool! From the way the show is made it looks more like a movie than a TV-series. The show revolves around two cops, Detective James "Sonny" Crockett (Don Johnson) and Detective Ricardo Tubbs (Philip Michael Thomas) and their adventures solving crimes around Miami! Stubble-faced detective Crockett lived in a sailboat guarded by his alligator Elvis. His partner Tubbs was a black New York cop looking for his brother's killer. Together they took on the Florida drug world. The show influenced men's fashions toward Italo-casual and interior decor toward the Memphis look. This show aired on NBC from 1984-1989 and lasted 5 seasons and I was amazed my this real neat series when I first watched it especially on the way it was made and such, plus I think Don Johnson and Philip Michael Thomas are one cool and memorable TV team to remember. 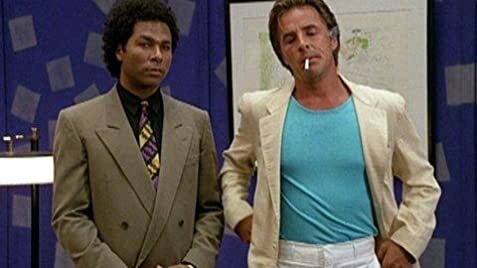 I remember that 5 years later after Miami Vice ended, Don Johnson did another detective series called "Nash Bridges" which lasted 6 seasons on CBS! If you like this series then you would also like Nash Bridges! BOTTOM LINE: A FANTASTIC SERIES! Don Johnson was ready to leave the show at the end of its second season, and the studio lined up Mark Harmon to take over the role of Sonny Crockett. The only one not happy with this solution was executive producer Michael Mann, who convinced Johnson to stay on. 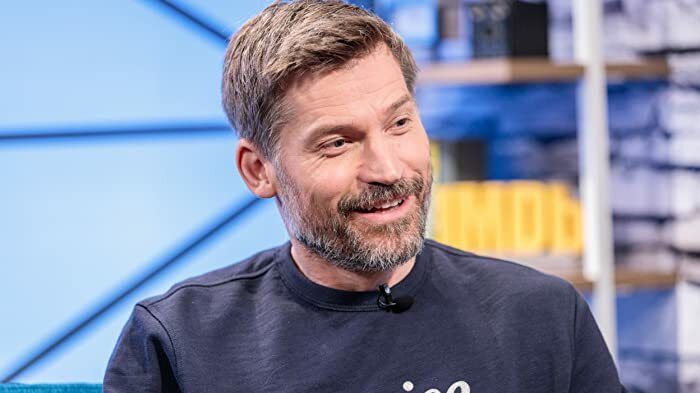 As a result, Johnson became the best paid actor in the history of television series. Johnson subsequently had to turn down roles in quite a few movies, such as the leads in both The Untouchables (1987) and Die Hard (1988). Sonny Crockett: Hate waiting, feel like a character in a Becket play. Det. Ricardo Tubbs: Since when do you know Becket? Sonny Crockett: Charlie Becket, works down the shoeshine, writes plays on the side. Ricardo Tubbs could certainly quit the NYPD and join the Miami-Dade police force. However, it would take him years to be assigned as a detective on that force as there would be dozens of officers with seniority over him. Three episodes of the series have these additional songs playing at the closing credits instead of the show's original theme song: "Calderone's Return": Tina Turner - "What's Love Got to Do With It? "; this song plays over footage of Crockett and Tubbs riding a speedboat, plus flashbacks of Tubbs and Angelina. "Phil the Shill": Phil Collins - "Life is a Rat Race" and "Freefall" (final episode): Terry Kath - "Tell Me"; this song plays over a montage of scenes from the show.